Connect with a child and change his or her life forever! There are opportunities to sponsor children at La Vega Christian School starting at $35 a month. A Christian education in a quality school with Christian teachers is a springboard for a life filled with purpose. We also need sponsors for the Haitian schools. For $25 a month we can feed a child, pay for the teachers, and help with books, school supplies, uniforms and medical needs. Many of these children lost one or both parents in the earthquake of 2010. Their little schools are truly a piece of heaven. Haitian children face various barriers to attending a public school. One, they are often undocumented legally and cannot attend. Two, there is a difficult language and cultural barrier to cross. Three, often the costs for a public school uniform, shoes, and school supplies is not within economic reach of these families. Tax-deductible donations can be sent to: Your Missionary Outreach, PO BOX 1761, Columbia, SC 29202. Please add a note that it is for child sponsorship in La Vega. You can also call the office to arrange an automatic bank deduction at 803-799-0502. We will send you pictures and a letter from your student. 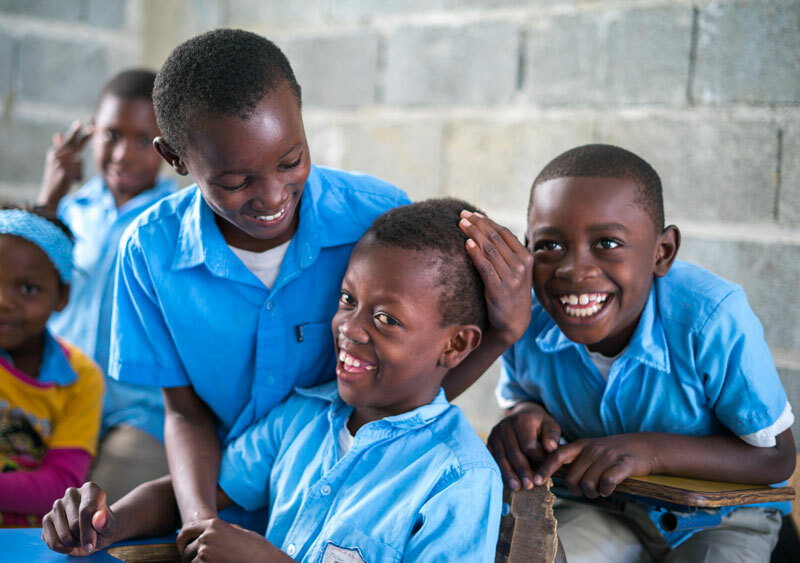 These haitian children are grateful for the support of their sponsors. Without them they would most likely be at home, on the streets, or working the fields with their relatives.